Donald Kennedy is a former commissioner of the United States Food and Drug Administration and is a professor emeritus of environmental science at Stanford. 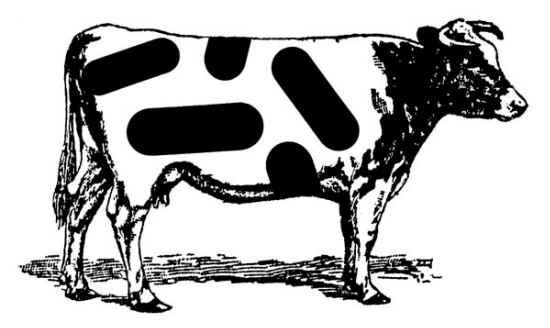 When agribusiness interests persuaded Congress 30 years ago not to approve regulating antibiotics in cattle, we saw firsthand how strong politics can trump wise policy and good science. Now that Congress has pushed through its complicated legislation to reform the health insurance system, it could take one more simple step to protect the health of all Americans. This one wouldn’t raise any taxes or make any further changes to our health insurance system, so it could be quickly passed by Congress with an outpouring of bipartisan support. Or could it? More than 30 years ago, when I was commissioner of the United States Food and Drug Administration, we proposed eliminating the use of penicillin and two other antibiotics to promote growth in animals raised for food. When agribusiness interests persuaded Congress not to approve that regulation, we saw firsthand how strong politics can trump wise policy and good science. Even back then, this nontherapeutic use of antibiotics was being linked to the evolution of antibiotic resistance in bacteria that infect humans. To the leading microbiologists on the F.D.A.’s advisory committee, it was clearly a very bad idea to fatten animals with the same antibiotics used to treat people. But the American Meat Institute and its lobbyists in Washington blocked the F.D.A. proposal. In 2005, one class of antibiotics, fluoroquinolones, was banned in the production of poultry in the United States. But the total number of antibiotics used in agriculture is continuing to grow. According to the Union of Concerned Scientists, 70 percent of this use is in animals that are healthy but are vulnerable to transmissible diseases because they live in crowded and unsanitary conditions. In testimony to Congress last summer, Joshua Sharfstein, the principal deputy commissioner of the F.D.A., estimated that 90,000 Americans die each year from bacterial infections they acquire in hospitals. About 70 percent of those infections are caused by bacteria that are resistant to at least one powerful antibiotic. That’s why the American Medical Association, the American Academy of Pediatrics, the American Pharmacists Association, the Infectious Diseases Society of America, the American Public Health Association and the National Association of County and City Health Officials are urging Congress to phase out the nontherapeutic use in livestock of antibiotics that are important to humans. Antibiotic resistance is an expensive problem. A person who cannot be treated with ordinary antibiotics is at risk of having a large number of bacterial infections, and of needing to be treated in the hospital for weeks or even months. The extra costs to the American health care system are as much as $26 billion a year, according to estimates by Cook County Hospital in Chicago and the Alliance for the Prudent Use of Antibiotics, a health policy advocacy group. Agribusiness argues — as it has for 30 years — that livestock need to be given antibiotics to help them grow properly and keep them free of disease. But consider what has happened in Denmark since the late 1990s, when that country banned the use of antibiotics in farm animals except for therapeutic purposes. The reservoir of resistant bacteria in Danish livestock shrank considerably, a World Health Organization report found. And although some animals lost weight, and some developed infections that needed to be treated with antimicrobial drugs, the benefits of the rule exceeded those costs. It’s 30 years late, but Congress should now pass the Preservation of Antibiotics for Medical Treatment Act, which would ban industrial farms from using seven classes of antibiotics that are important to human health unless animals or herds are ill, or pharmaceutical companies can prove the drugs’ use in livestock does not harm human health. The pharmaceutical industry and agribusiness face the difficult challenge of developing antimicrobials that work specifically against animal infections without undermining the fight against bacteria that cause disease in humans. But we don’t have the luxury of waiting any longer to protect those at risk of increasing antibiotic resistance.